We have two loyal felines whom we adore! 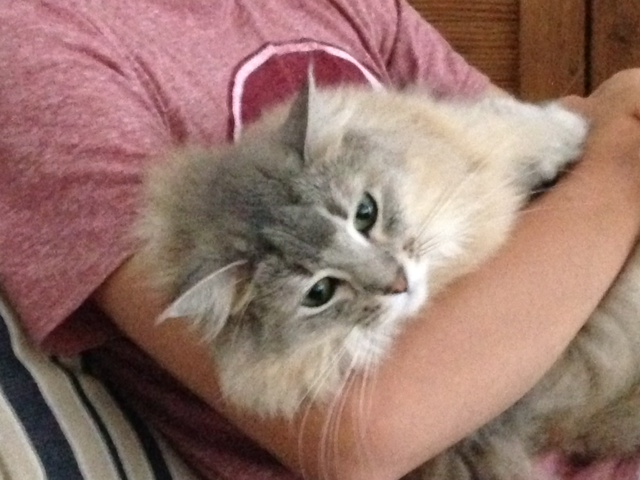 Snuggled in a sweater as she likes to be babied, is Tiffy who’s an American Bobtail. Her breed is known to be ‘dog like’ and she enjoys being carried around. She will bring her toys to you. She loves to be with us and talks all the time. She has the fluffiest, softest coat and our home is a testament to her fine white fur. Laying on my lap is Tigger who’s a rescue kitty, found under a well-known hotel nearby as a tiny kitten. We got her a few years ago. Although nobody could ever replace our beloved Chessie who looked similar, Tigger has brought her own brand of joy into our lives with her antics. Tigger doesn’t meow very well, although as she’s gotten older she’s learned how to make small noises. She lets Tiffy tell it all! Both Tigger and I know that we are a special part of the family. We have an important job to do and we do it well. They call it fur therapy here. That’s a code word for do your thing kitties and we do a great job of it. We know when someone needs a little extra love and we give it freely. We instinctively cuddle with them when they are sad. We know just the right way to get into their laps and snuggle with them until they are happier. Sometimes they even whisper secrets to us. 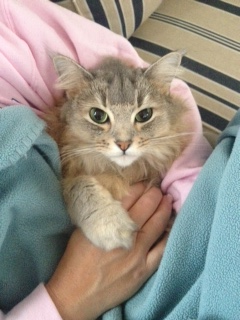 When they need extra healing we purr while we cuddle with them. The loving vibrations help to heal them. It’s a well-known cat fact. You knew that already, right? We love our humans and enjoy spending time with them. When they leave the house and come back, we’re usually there waiting at the door to welcome them home. Well, unless we’re catnapping which we occasionally do! You know we need our beauty sleep. How else would we look this good all the time? We have excellent hearing so we can hear when the outside door opens and we run to the door to greet them. At night, we like to hang out with them, sometimes even getting lap time as they watch tv. Of course, when it’s dinner time, we like to investigate to see what they’re eating. Our favorite is fresh pieces of chicken which they sneak us sometimes. Of course, Mom knows, but we happily indulge when the time is right! We like to sleep with Mom most nights, but we’ve been known to snuggle with the kids as well. We’re really good watch cats and sometimes we stand guard as well all night if we hear strange noises outside. We don’t miss a trick, believe me. We see everything. We even see things that our humans don’t see. We are loyal subjects to our family. We love them unconditionally and with our whole selves. Sometimes our thinking is way ahead of you humans! 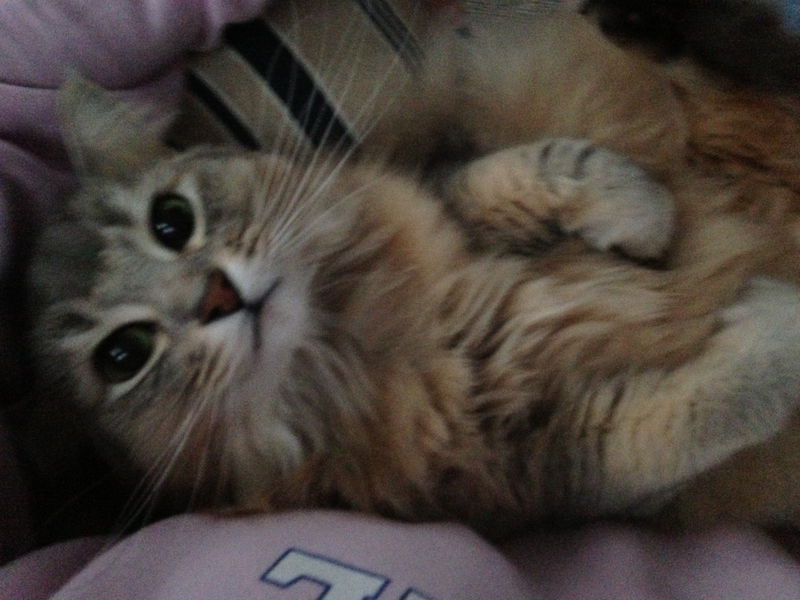 Here’s a little post on Chessie. 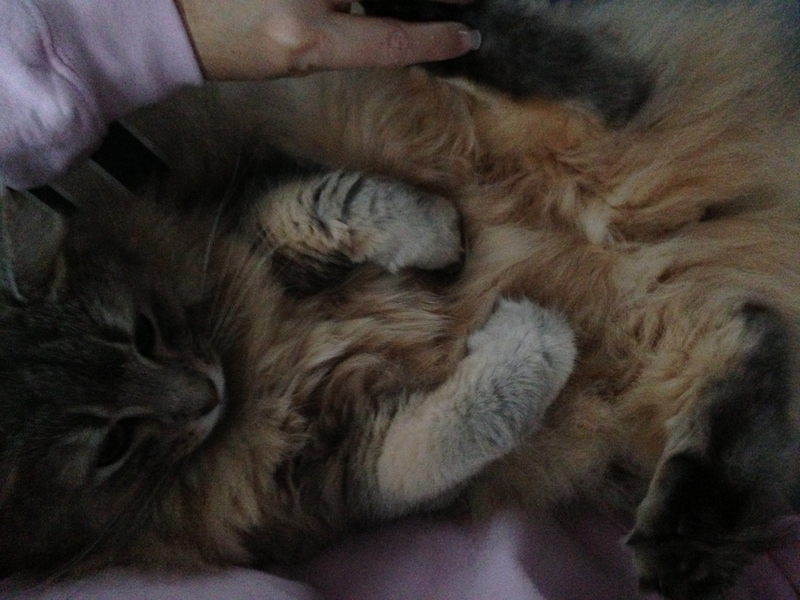 So, today, here’s a bit of virtual fur therapy for you! May you know you are loved. 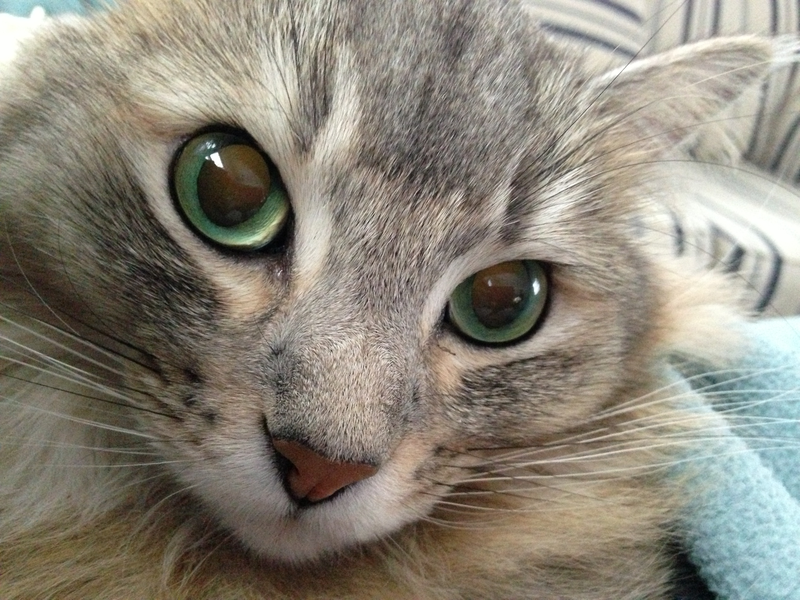 This post is also doubling as Michelle’s Pet Challenge…join us by clicking here! Ellie ~ a perfect little angel! Meet Ellie, my friend’s pup with whom I enjoyed a playful romp in her yard the other day. 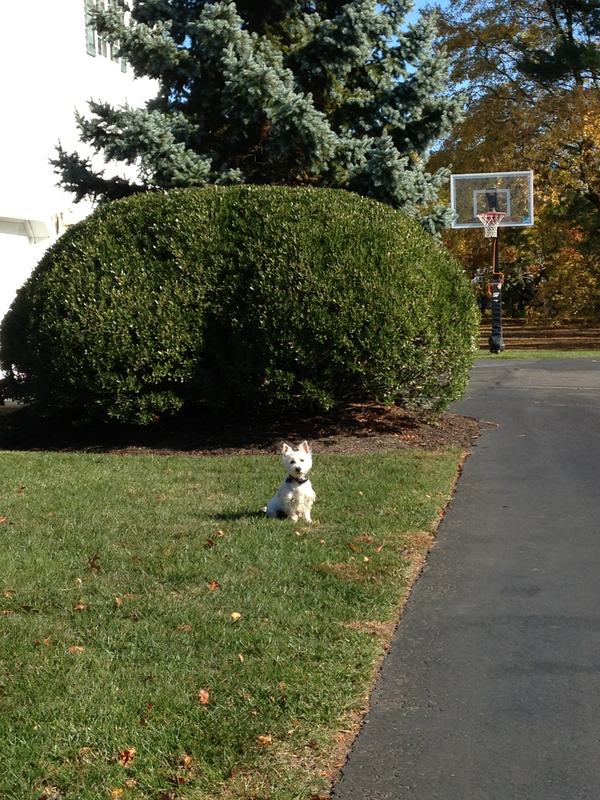 What fun we had just running around the yard playing tag! I felt like I was 5 years old again, laughing and smiling when I needed it most. It’s such a gift to enjoy the moment of now, to frolic in the leaves of fall and to find our inner child and let her go for a few minutes! How freeing it is to find joy to store up for when you need it most. Yesterday we had sad news so today I will remember how happy this moment was and use it to heal my soul and dislodge some of my sadness. Thanks little Ellie for the puppy therapy yesterday! The giggles heal the sadness in my soul. 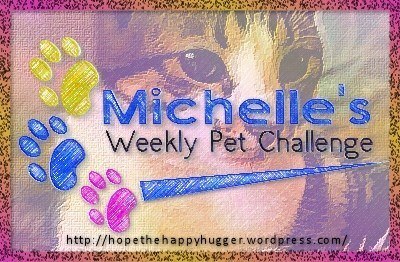 Michelle’s Weekly Pet Challenge ~ Click Here!